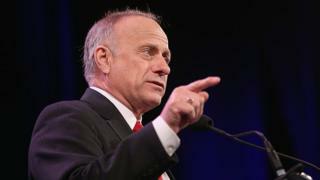 Republican Steve King has blamed Barack Obama for fuelling divisions that led to an attack on Republican lawmakers, when Mr Obama was president. He "focused on our differences rather than our things that unify us", the Iowa congressman said. 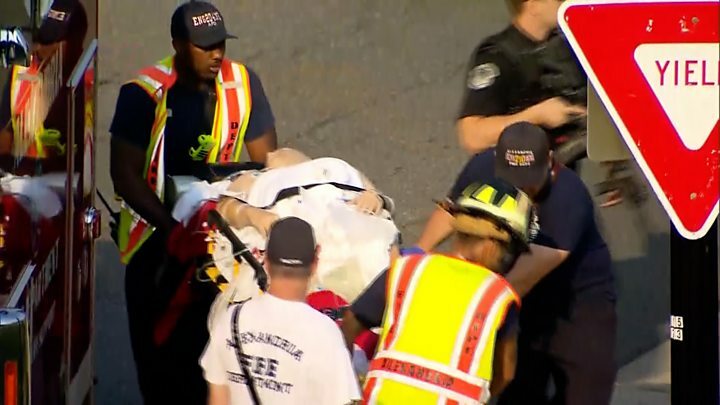 A gunman ambushed Republican lawmakers during baseball practice at a Virginia field, injuring four people. House Majority Whip Steve Scalise remains in a critical condition following Wednesday morning's attack. He had a third operation on Thursday morning at a Washington DC hospital, where he has been visited by President Donald Trump. 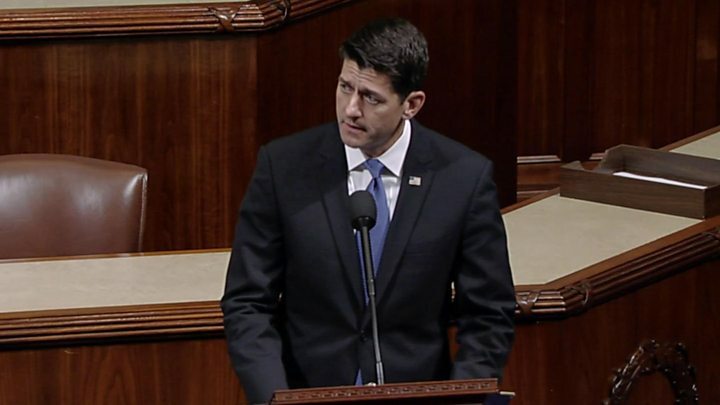 The shooting has sparked some introspection in the US capital, with calls for Republicans and Democrats to turn the heated rhetoric down a notch. Mr Trump himself has been accused of increasing the war of words, both on the campaign trail and in some of his strongly-worded tweets lashing out at opponents since taking power. But the White House spokeswoman on Thursday denied he bears any responsibility, saying he is the one who has been attacked. "But I think, as a whole, our country certainly could bring the temperature down a little bit," she added. Earlier, Mr King told radio station WHO in his political heartland of Iowa: "I do want to put some of this at the feet of Barack Obama. "He contributed mightily to dividing us. He focused on our differences rather than our things that unify us. And this is some of the fruits of that labour." Fox News host Sean Hannity also laid the blame on Democrats for the Virginia shooting, arguing the left had "de-humanised" Republicans and painted them as "monsters". "When Democrats continue to dehumanise Republicans and paint them as monsters day in and day out, year in and year out, well the climate around the country, it becomes more than toxic, and the tragic results, of course, follow," he told his viewers on Wednesday night. He also claimed that "virtually no one on the left has denounced this vile behaviour". However, leaders of both parties were quick to condemn the attack, which elicited a rare spirit of unity on Capitol Hill. Republicans and Democrats have used the attack to point out the toxic rhetoric that has led to deep political divisions across the US. The suspected gunman, James T Hodgkinson, succumbed to his injuries from the firefight with police and died. Police said on Thursday the 9mm handgun and 7.62 rifle believed to have been used by the suspect were purchased legally. It has emerged he was a former volunteer for Senator Bernie Sanders' 2016 Democratic presidential campaign and posted incendiary anti-conservative rhetoric on social media. Mr Sanders immediately denounced the attack and investigators have said it is too early to determine a motive. In the wake of the attack, Republican congressman Thomas Massie introduced a bill on Thursday that would allow those with gun permits in their home states to carry weapons in Washington, DC. Mr Massie said the measure is aimed at helping lawmakers, who are exposed in the nation's capital, to protect themselves and "avoid a tragic situation". Mr King has previously raised eyebrows for his controversial statements. He once promoted the "birther" conspiracy claiming that Mr Obama was not born in the US and suggested some undocumented immigrants have large calf muscles because of drugs he said they were smuggling across the border.